The 30-acre East Town Park at Haverhill has been judged one of the best in the country. The park, managed by St Edmundsbury Borough Council, has won its first Green Flag, awarded by the Civic Trust. Green Flags were first presented in 1996 to open spaces which are well managed and have achieved high recreational and environmental standards. 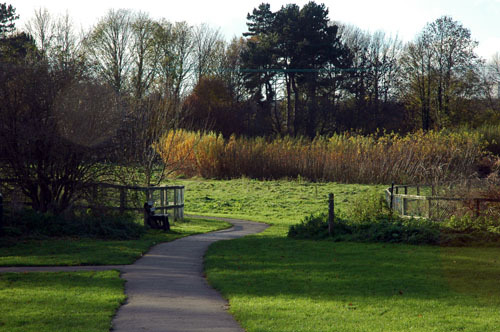 As well as features such as the wildlife pond and play area, the park is a gateway to the wider countryside, with its links to other leisure attractions including a six-mile circular route and the Stour Valley Path. The park is a wildlife haven, attracting creatures such as slow worms, common lizards and even otters. A Countryside Centre opens at weekends selling souvenirs and refreshments.